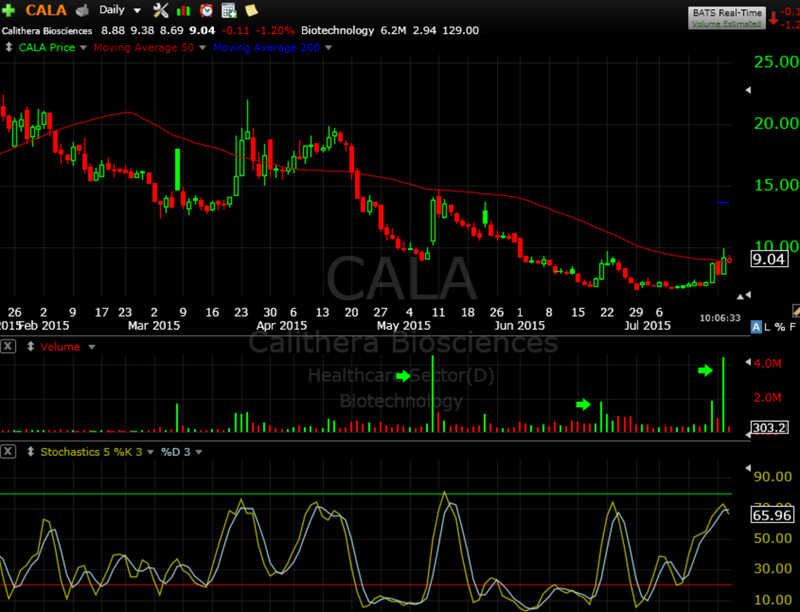 CALA is a biotech stock that has shown some buying interest while in the midst of a down trend. The recent volume surge has the stock over it’s 50 dma, which could start a remount and give it the momentum it needs to make a short term run. This is a speculative setup.